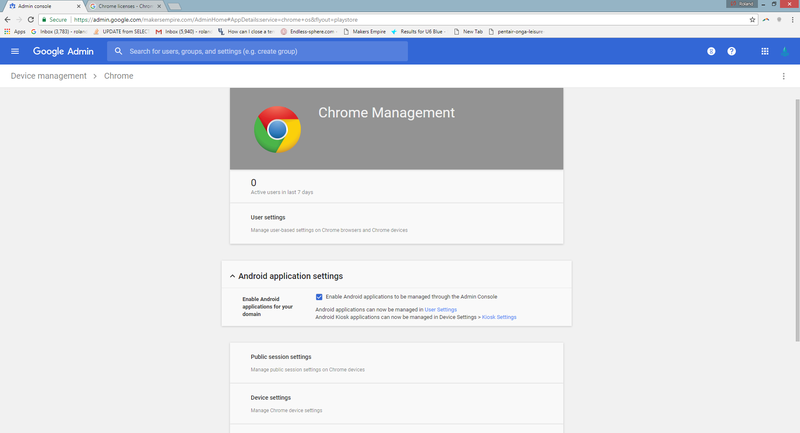 First, check whether your Chromebook device can run Android apps. 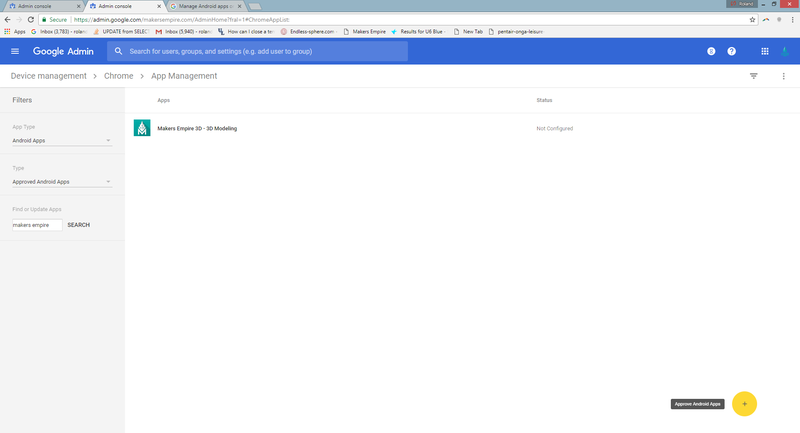 Check the link below and make sure that your Chromebook is listed. 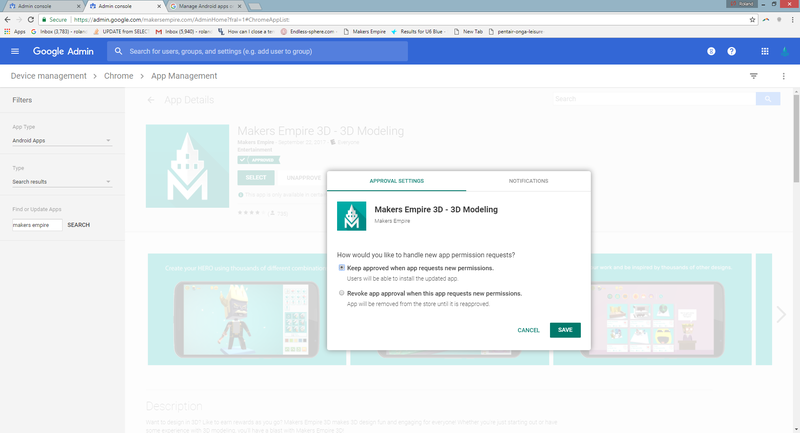 If your Chromebook is listed and the Status is Stable Channel it should be possible to run Makers Empire 3D! After this, just search for Makers Empire in the Google Play store. See some screenshots of this process below. 4) After approving the app, press on it in the list to configure the settings. 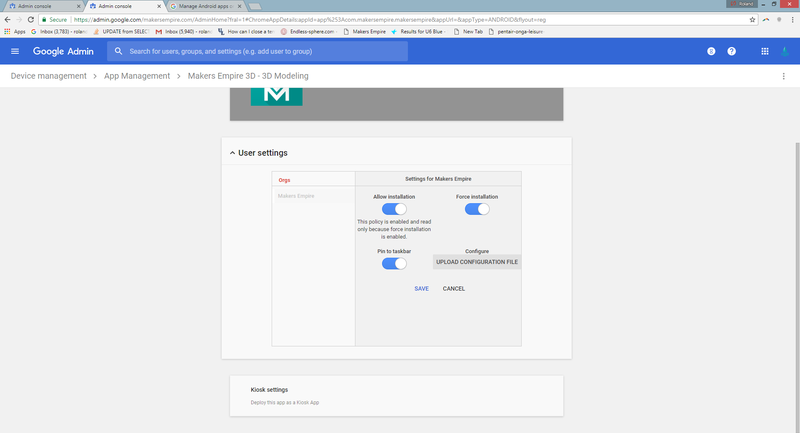 If you turn on Force installation and Pin to taskbar, Makers Empire 3D will automatically appear on the bottom bar of the Chromebook screen when logged in. 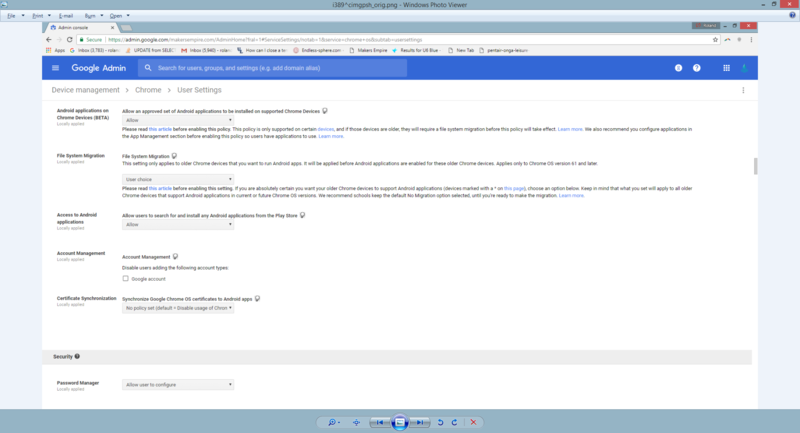 5) Chromebook users may need to log out and back in for the changes to take effect.